By describing their music as "anxiety pop" well before the 2016 elections (may they be damned! 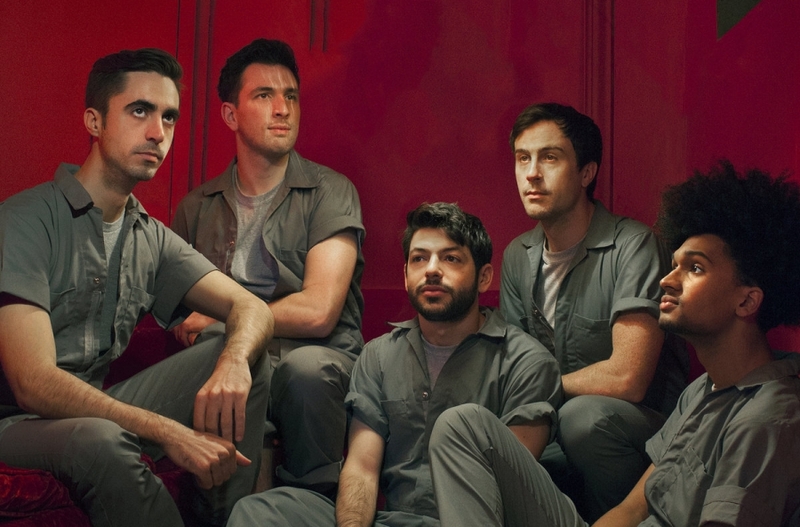 ), NYC's indie pop quintet Wet Leather might have tapped into something real before we were even aware of it - maybe their music should be the soundtrack of WNYC's new weekly program "United States of Anxiety"? Truth be told, the kind of anxiety channeled by these dudes' tunes is a lot more fun and a lot less stressful thant the one lately delivered by the news (fake ones in particular), so don't be scared of it, actually... embrace it! It's channeled through pure, perfectly crafted and rather classy uptempo pop, with an opening single entitled 'Astral Projection' (streaming) exhibiting traces of Elvis Costello and Camera Obscura, and Prince references coming through in many other tracks (like for example in single 'Shame').